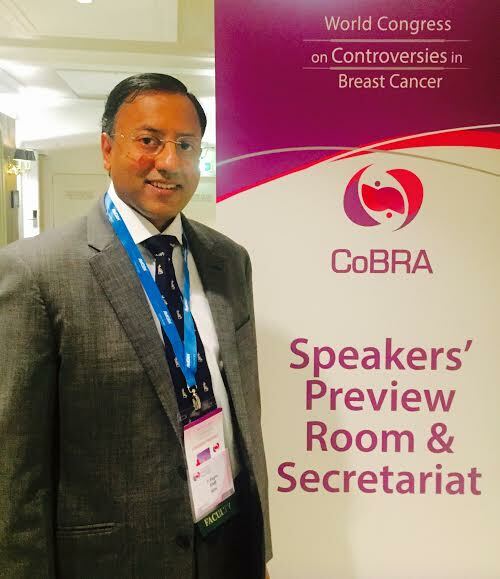 Dr P. Raghu Ram, President of The Association of Breast Surgeons of India & Director, KIMS-USHALAKSHMI Centre for Breast Diseases from Hyderabad addressed some 700 delegates at the World Congress of Controversies in Breast Cancer Management (CoBRA) held in Melbourne from 22 – 24 October. 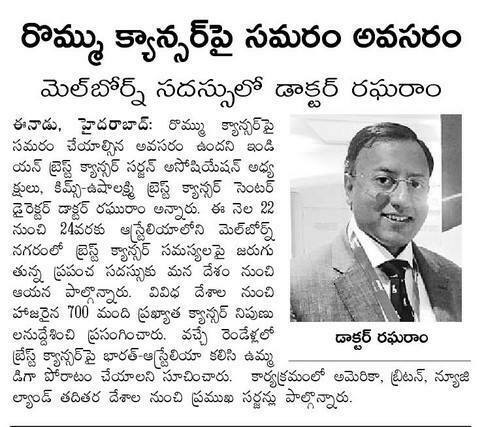 He is the ONLY Surgeon from India to be invited as part of International faculty at this prestigious Congress. 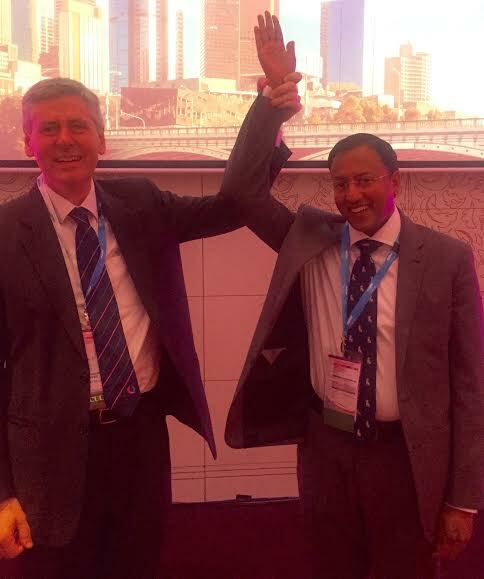 During the Congress held in Melbourne, in an effort to improve standards to training in Breast Surgery & breast healthcare in India, Dr Raghuram discussed with Prof Andrew Spillane, President of Association of Breast Surgeons of Australia & New Zealand various proposals for joint collaboration between the Breast Surgical Associations of India & Australia. The proposals will be implemented over a two year period between 2015-2017 in India. As a first step, a big contingent of Breast Surgeons from Australia will be participating at the Annual Conference of Association of Breast Surgeons of India to be held in July 2016 during Dr Raghuram's Presidential term. 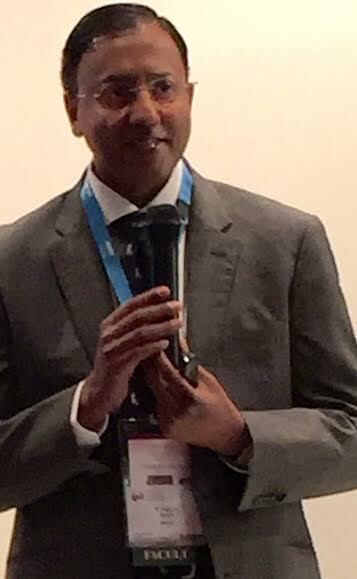 Dr Raghuram Participated in prime sessions at the Melbourne Congress that critically evaluated the most controversial aspects of breast cancer care alongside other global key opinion makers in the field of breast cancer care from USA (Harvard, Mayo Clinic, MD Anderson Cancer Centre), United Kingdom (Royal Marsden), Spain, Japan, Hongkong, Australia & New Zealand. Dr Raghuram highlighted during the congress in a dedicated presentation, the innovative large scale population based breast cancer screening programme results that he has been implementing in Telangana & AP, which received an overwhelming appreciation from delegates.